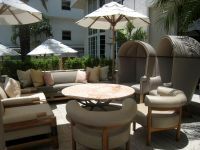 After months of renovation, The Tides South Beach Hotel opens La Marea Restaurant. This new Miami restaurant features delicious Mediterranean inspired cuisine by Chef Pietro Rota. The exquisite plates are made with the freshest produce and seafood. 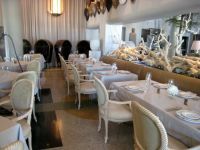 La Marea Miami restaurant is located onsite of the historic Tides South Beach oceanfront hotel on Ocean Drive, part of Miami attractions and hotspots. It is the perfect venue to enjoy of a romantic and intimate evening or simply dine with a group of friends. For a complete listing of all the Miami restaurants, click here.